Volunteers are invaluable resources to communities, organizations and society, without them we would not be able to serve and help uplift the most vulnerable here at home and abroad. During National Volunteer Week, April 7-13, 2019, we would like to thank all the volunteers who raise funds, build awareness and support our work for vulnerable children and families around the world. SOS Children’s Villages Canada was built by the countless supporters and volunteers who work tirelessly towards the organization’s cause. One of those volunteers is Maria Virjee. For 50 years she has offered her time to SOS Children’s Villages Canada and helped shape what the organization has become. Maria knows all too well what it’s like to be a child living in a precarious situation. Growing up in Austria during the Second World War, she remembers how important her family was to her during life’s toughest moments. 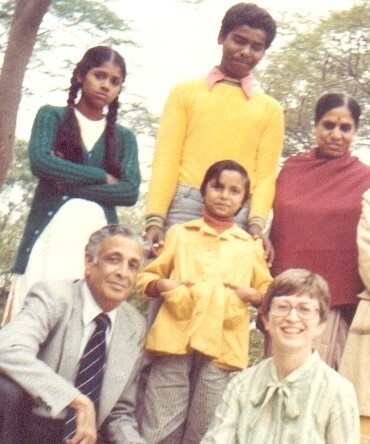 Soon after Maria and her husband moved to Canada – she in 1962 and her husband following in 1963 – they began to sponsor a brother and sister in the first SOS Children’s Village in India, the first of several children Maria would sponsor. “Every culture knows the concept of family, whatever family may look like. They know what a difference it makes for children to grow up in a family,” she adds. Maria was already well aware of the work SOS was doing from her time in Austria. She would send her sponsorship payments to the office in Vienna, Austria, until she was informed that Joe Messner had founded the Canadian SOS Children’s Village Association in 1969. In the beginning, the SOS Canada office was located in Messner’s basement, with his family volunteering their time to the cause. Messner was in the process of spreading awareness about the organization, but needed help contacting potential supporters. Maria began to volunteer her time, typing out letters asking for support during her lunch breaks as a translator and interpreter for the Government of Canada. They continued to spread the word and support the organization through the 1980s, through letter writing campaigns and occasional fundraising events. In 1994, Maria retired from the Government Translation Bureau and became more active with SOS Children’s Villages Canada, joining the Board of Directors. 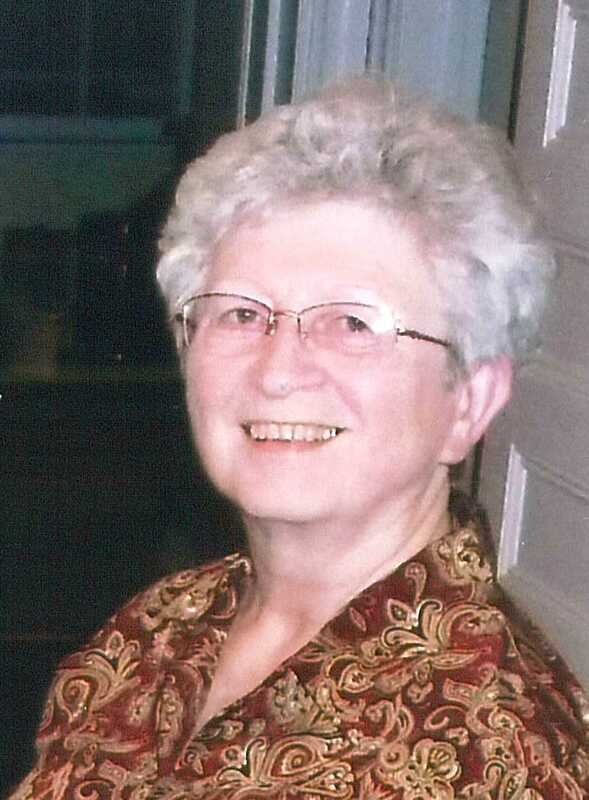 On top of her duties as Secretary of the Board, she also volunteered her time at a number of fundraising golf tournaments – despite knowing nothing about golf herself. She also worked with volunteers to craft a series of Christmas cards that she would sell to corporations, board members, donors and sponsors, among others. For a number of years she sold over 10,000 Christmas cards, which Maria would personally help bundle and pack for each individual order. “I have always believed that you should help others in need whenever possible. I have been blessed enough to be able to make a difference in a small way such as sponsoring children in SOS Villages.” Maria is extending her support even further by leaving SOS a legacy donation in her will, thus helping to ensure that SOS Children’s Villages can continue to support children in the years to come. 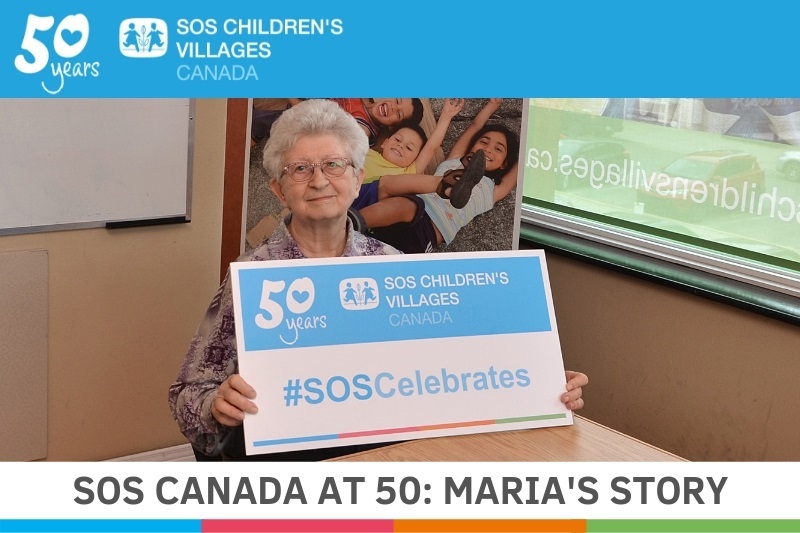 As Maria celebrates 50 years at SOS Children’s Villages Canada, we are grateful for all the work she has done and continues to do for our organization. It is because of volunteers like her that we have been able to support vulnerable children over the past half century. You can find a list of upcoming 50th Anniversary celebration events here. If volunteering with SOS Children's Villages Canada is something you want to be part of, get in touch with us here. Canadians wishing to help children in need are encouraged to sponsor a child, sponsor a Village or make a one-time donation. Your support will help transform the lives of the most vulnerable.